Another cutie too me. I flocked his tail and mane. You can see other Cards in series Here just scroll down. To join in the fun Stacy from Love That Bug is hosting a Create a Critter 2 Series Linky Party. Complete how to video with sizes etc for each card. I just love your series! This is fun! It would be so helpful if you would list the sizes of the cuts. I always get confused..especially if they wear a hat or they are sitting on a pond or box. Thanks! OMG, this card is adorable, as are all your other cards in the CAC series. Very nice!! This is just too sweet! Love the bright and happy papers too! 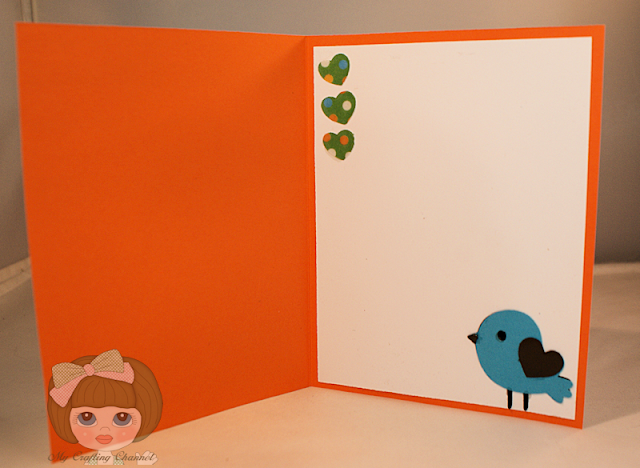 I am not normally a fan of orange but I love it with the glossy look on your card. Another really sweet card Nana, I like the lion and the fab colours. Love your lions furry mane and tail! Adorable, as is all the cards in your series! I LOVE this one!!!! SO adorable Nana!! The colors are so awesome!! The lion is too cute!! You are rocking CAC2!! 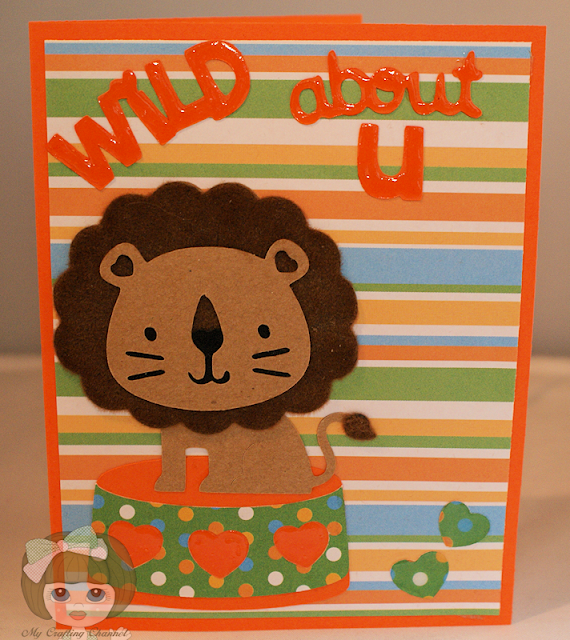 What a Stinkin Cute lion.I am going to make a card with this cut...LOL..LOVE the Orange!AWESOME series! !Happy that you are back! What a fun card - love the bright,happy colors and patterns! And, your lion is just darling! Your card is really cute I like that you finished it inside and out. Awww, so sweet! Love the title & how you tied in all the elements. Great vibrant colors and design.